From the beginning of March when the air is still cool, spring announces its arrival in Korea with a blanket of white and yellow blossoms spread like a quilt all over the nation. 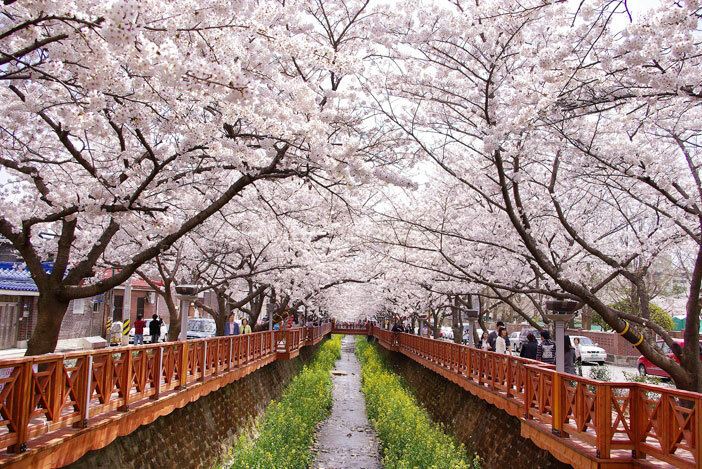 The warmer season sees a host of festivals take place in Korea where visitors can stroll among the blossoming spring flowers and see the country at its finest. Starting as early as March, the cold winds and freezing temperatures of winter begin to subside as spring draws near. In Korea, a wide array of events celebrating the season are held throughout the country, where many activities take to the outdoors thanks to the milder weather. The return of the warmer weather not only brings countless beautiful wild flowers into bloom, but also gives families a chance to spend precious time with their loved ones through all the various activities that can be taken advantage of outdoors. Read on for the list of festivals celebrating the lovely spring atmosphere in Korea.